The default behavior when you drag a window to a new desktop is to make it fullscreen. Is there any way to have it maximized instead of going full screen. This method, described in this support article, will create a new space with the window you dragged. or as follows: while pressing Option, drag a corner of the window to the nearest corner of your screen. It will expand the window in all directions, until the window takes up the full screen. Not the answer you're looking for? Browse other questions tagged macos desktop spaces mission-control fullscreen . How do you maximize windows? 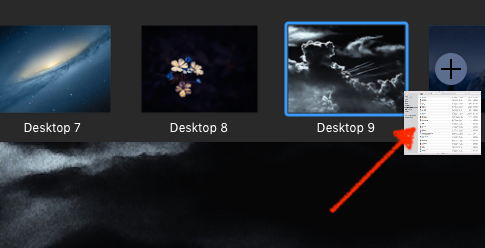 How to set a new desktop image when creating a new desktop in Mission Control?